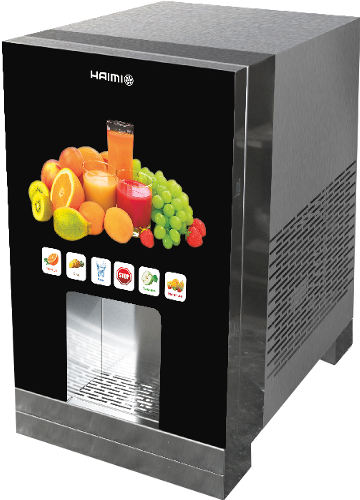 Instant dispenser for concentrated cold juices. 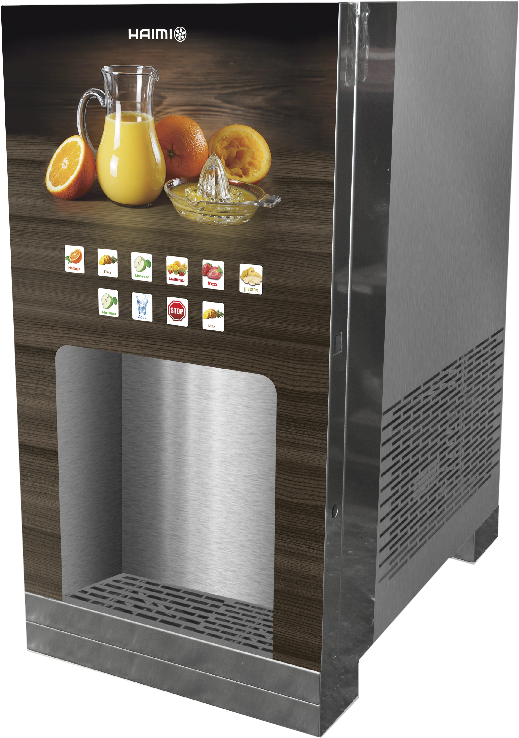 It is specially indicated to dispense juice in pitchers due to the big compartment where a pitch can be placed to be refilled. - Mixing system activated or deactivated per channel. - Independent channel speed regulation. - Channel locks when the product runs out. - Adjustable and manual self-cleaning system. - Coolant R-134a by compressor. - Possibility to customize the front screen to suit the client. This is our concentrated cold juice dispensing machine. 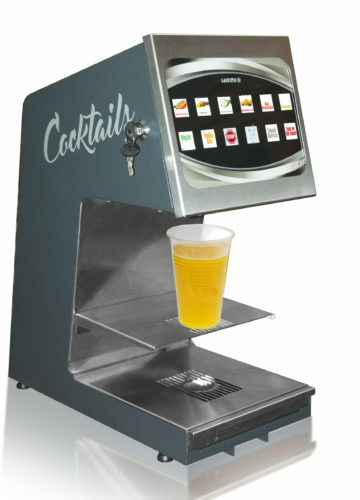 Its design differs from the others because it can dispense juice in pitchers. It is ideal to fulfill hotels breakfasts, restaurants, caterings and a large number of buffets needs. We have it available with 4, 6 or 8 channels (plus another for water). It is the best ally for catering professionals. It is made entirely of stainless steel to achieve a magnificent catering furniture. It is a technologically advanced product that includes a mixing system that can be activated or deactivated per channel. In addition, you can regulate each channel speed, and it includes a channel lock for when the product runs out. It has an electronic regulation for all internal components. 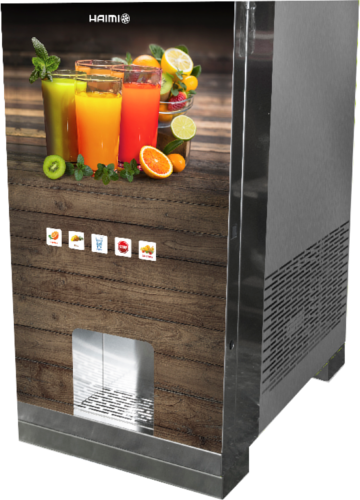 Available for 4, 6 or 8 juices (in pitchers), plus water (which you can connect directly to the water intake of the network to take and drain it). 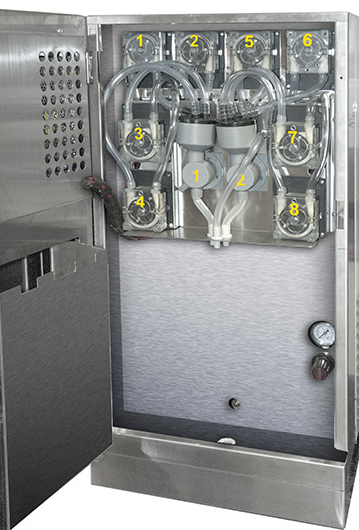 It includes a complete adjustable and manual self-cleaning system with meters, cooling compressor and forced draft condensation. This dispensing machine is easy to configure. 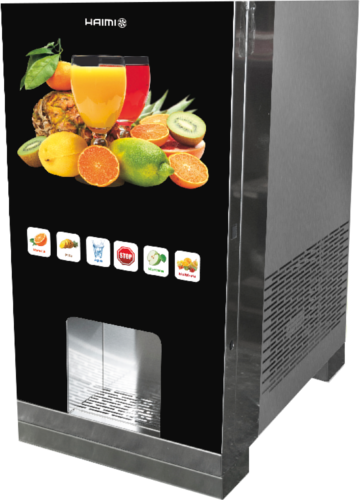 In addition, you can change its labeling easily, as well as customize the front screen of the machine, placing the logo of your company, or with the design that you like most. 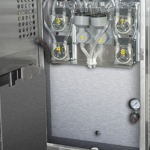 It has non-return and anti-drip valves, as well as front interior lighting and selected service illumination. It has capacitive touchscreen.